My son caught several beetles back in the summer. 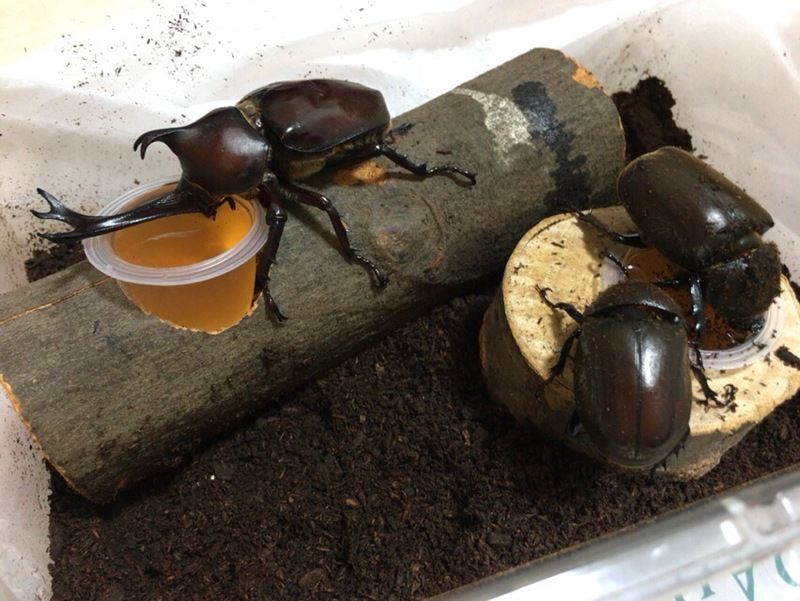 We put one male and two female beetles in a clear case, which I called a beetle harem. The summer is gone now, and the beetles died one by one. I was going to throw the entire case, but was lazy to leave it for 2 weeks or so. Then I realized some clear objects moving around. 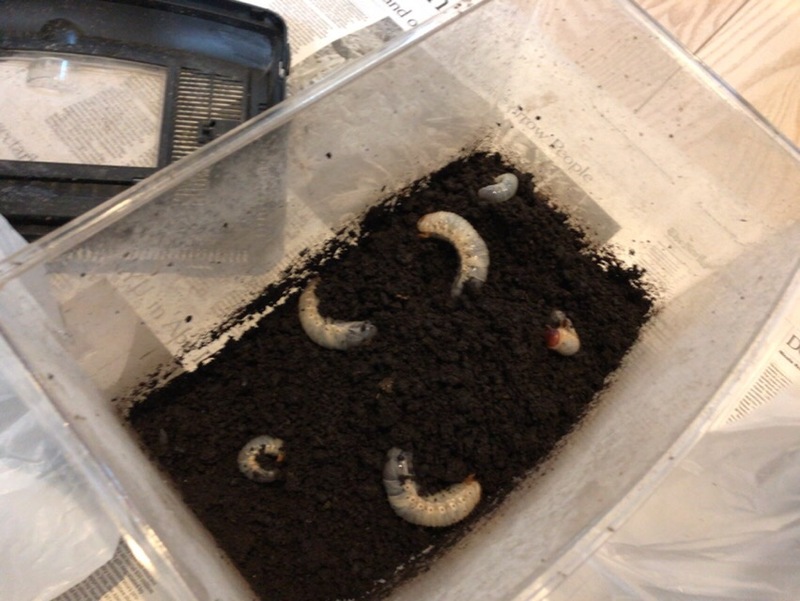 Later I confirmed 6 larvae. I need to find out how to keep them warm for the upcoming winter.